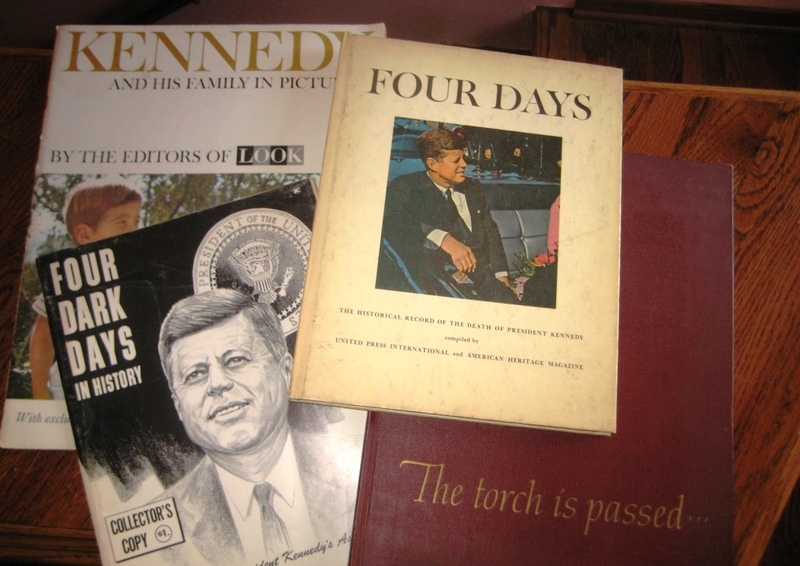 The “Four Days” surrounding the Kennedy assassination marked the first time that the first draft of history was written as it happened, via live television, with everyone looking on. In the five decades since, there have been endless attempts to arrive at that final rewrite, one that would wrap the events into some understandable narrative. To answer the question: Why? Since then, products of every sort (books, articles, films) have used the opportunity provided by the passage of time to review the events with further reflection, emphasizing different aspects. Two elements have been particularly striking when reexamined through contemporary eyes. First, tempering the highly praised blanket news coverage that took place across the television spectrum in 1963. Second, considering which murder during those four days held greater implications for the future of the news media. On Sunday morning, November 24, 1963, at 11:20, television showed the first live, on-air murder. While a horrified press corps looked on, Lee Harvey Oswald, the prime suspect in the assassination of President John F. Kennedy, was shot dead. People already numb from one death suddenly had another playing out in their living rooms. They wondered: Had the country gone mad? In that moment, a medium flexing its news – coverage muscles discovered that its very presence could raise troubling issues – issues that are still with us today. To that point, in covering the Kennedy assassination, TV news had proven to be a force – at times surprising viewers with power, depth, and sensitivity. CBS anchor Walter Cronkite, for example, was visibly choked up confirming the president’s death. Perhaps the most striking part for many at home, though, was that television could effectively take them directly into the heart of the unfolding, real-life drama. First, in Dallas. Then, in Washington. This was an era of only three major networks, when local stations signed off overnight. No cable. No satellite. In fact, the networks had just expanded the evening news from 15 minutes to 30, at the same time adding more opportunities for live location coverage. Until then, most location stories of the time were usually scheduled events such as space launches or political conventions or documentaries. Adding more of such material to the nightly news had demonstrated TV’s desire to grow over time. But it was a dramatic and symbolic coming of age for live TV news to replace all commercial programming for several consecutive days. There were countless network reports and, like today’s C-SPAN, great stretches of time devoted to official events unfolding at their own deliberate pace. Television showed every possible moment it could capture. This total immersion covering a national tragedy was widely embraced and praised as TV news at its best. The next step, though, came almost immediately. If television won kudos for showing every available moment, then it seemed to instinctively follow that every moment should therefore be available to be shown on camera – as part of serving the public. Armed with this access, television could do more than merely talk about the news. Television could literally bring those images home. In part to accommodate this desire by TV (and the press in general) to follow every moment of the weekend of the assassination, funeral, and burial of Kennedy, the transfer of Oswald between jails was done in full public view rather than as a quiet, high-security, behind-the-scenes action. The press could see it. So could any member of the general public in the area, including Oswald’s assassin, Jack Ruby. To be sure, TV and the rest of the press corps did not pull the trigger. Ruby certainly didn’t shoot Oswald just to get on television. Yet with its hunger for pictures to accompany the story, television helped to set the stage for a shocking turn of events. This was a sobering warning that when TV news entered the scene, it was more than as just another reporter. Its technical demands could change the pacing, staging, and flow of events. Its powerful pictures could carry an immediate impact. The presence of TV changed the way people acted. Merely by being there, television could change the very news it was covering. That uncomfortable reality would haunt TV news crews from then on, in coverage of the civil rights movement and antiwar demonstrations of the 1960s as well as in contemporary coverage of overseas military actions and international conflicts. The aftereffects didn’t end there. The widely praised blanket coverage of the Kennedy assassination and its aftermath also set a standard: Major news events demanded saturation coverage – live if possible. That, too, proved to be a difficult proposition, especially with the coming of multiple 24-hour news services. Sometimes such reporting was appropriate; often it was overkill (as in the continuous live coverage in the 1999 disappearance of John F. Kennedy Jr.’s plane, even when there was no solid information for nearly a day). Ironically, it was TV’s treatment of September 11 that at last offered a more nuanced view of how to serve the public while covering a devastating story. Though the attacks led to nonstop news reports, this time there were also channels that maintained regular programming. For example, kids found respite from the frightening news on PBS, which as a matter of policy stayed with its children’s schedule all day. Later that night, weary adults could find relief with nostalgic reruns on Nick at Nite. In the years since the shootings of both Kennedy and Oswald, every sort of conspiracy theory has entered the public forum. Five decades later, we may be no closer to learning “the truth about JFK,” but we are far more cognizant of the pervasive and incessant power of television. We know that TV can capture the here-and-now of any event, but that detail does not automatically translate into greater knowledge and understanding. Instead, from Iraqi battlefields to California courtrooms, the approach of nonstop live coverage that helped heal a nation in 1963 now overwhelms with minutiae. As viewers, we have to remember that, technically, nonstop live coverage isn’t the big deal it was 50 years ago. We have to be savvy enough to extract key information from a worldwide connectedness, then move on to the next level, seeking perspective, context, and, most of all, time to think. Otherwise, news simply degenerates into a backdrop of breathless live reports, a media mush that may send us searching for errors and omissions in the Warren Report without ever taking time to see the bigger picture. This entry was posted in Media, Television. Bookmark the permalink.